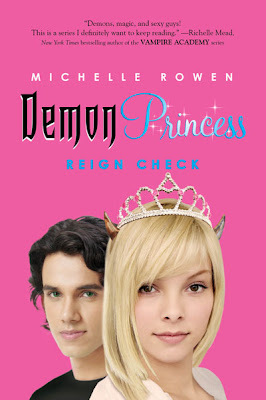 Michelle Rowen posted on her blog that the US cover for Reign Check, the second book in her young adult Demon Princess series has changed. There's a new book blurb and you can now read an excerpt of the first two chapters. 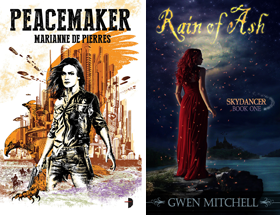 The book releases in May. 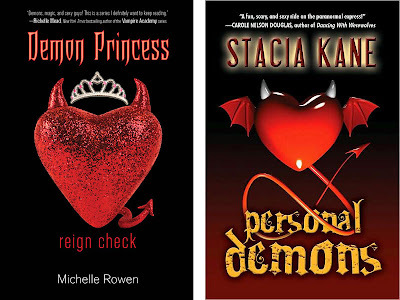 Hmm seems awfully reminiscent of Stacia Kane's Personal Demon series covers... what do you think? Nikki Donovan has had a lot to deal with since learning she was half human, half demon. But things take a darker turn when Rhys, a gorgeous—but potentially dangerous—faery king enrolls at her high school to investigate Nikki’s potential for fulfilling an apocalyptic prophesy. Nikki knows she’d never turn violent, and she certainly couldn’t destroy the world…could she? Of course, all Nikki really wants is to be reunited with Michael, a Shadow creature whose status as her personal servant is further complicated by their undeniable attraction to each other. Even though the rules of the Shadowlands strictly forbid their romance, Nikki is determined not to let Michael go. But when she is summoned to the Underworld to appear before a demon council, it will take all her courage—and perhaps a bit of demon-level strength—to get herself out again. I definitely like the new cover better than the old, but it is very similar to Stacia's. Totally agree with both of you. I like the new cover, but I think it's going to get confused with Stacias.